Hungry – lasts for 3 hours and has no mood effect. Very Hungry – lasts for 24 hours and has a negative 40 mood effect. Starving – lasts for 24 hours and has a negative 80 mood effect. Your Sim will starve to death when the time expires if they don’t eat any food! If you don’t want your Sim to become a Sims 3 ghost, your Sim better eat! Divine Meal – lasts for 7 days and has a positive 75 mood effect. Your Sim will receive this moodlet after eating a meal of Ambrosia (made from Sims 3 life fruit). 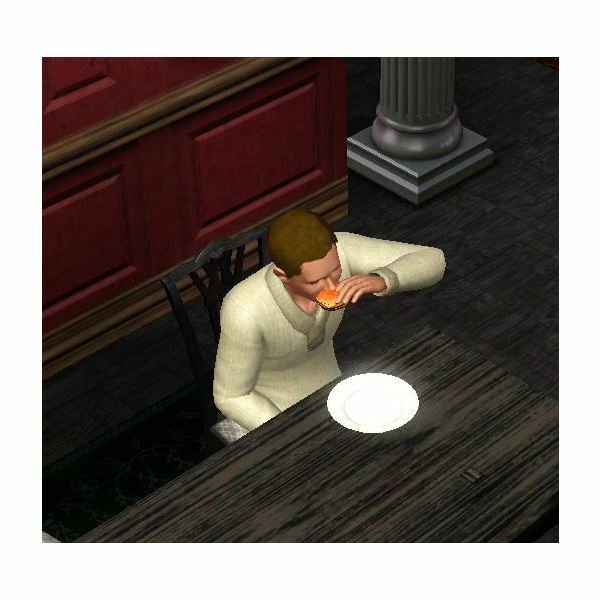 It can also sometimes happen after eating at a bistro, or even from using the Sims 3 time machine. Warm Fuzzies – lasts for 5 hours and has a positive 15 mood effect. Your Sim will receive this moodlet after drinking nectar that was made from Flame Fruit or eating an Angel Food Cake. Sugar Rush – lasts for 3 hours and has a positive 15 mood effect. Your Sim will receive this moodlet after drinking nectar or from drinking juice from the Sims 3 bar. Wasted Food – lasts for 2 hours and has a negative 5 mood effect. Your Sim will receive this moodlet after throwing out food that hasn’t spoiled. Tastes Like Fridge – lasts for 2 hours and has a negative 10 mood effect. Your Sim will receive this moodlet after eating a meal of leftovers that was placed in a cheap refrigerator. Uneven Cooking – lasts for 3 hours and has a negative 10 mood effect. Your Sim will receive this moodlet sometimes after eating a meal that was cooked on a cheap stove. Nauseous – this is an interesting moodlet for the Sims 3 hunger moodlets that lasts for lasts for 2 hours and has a negative 25 mood effect. Your Sim will receive this moodlet in a variety of ways including: eating spoiled food, eating mummy snacks if not a mummy, eating plasma fruit if not a Sims 3 vampire, pregnancy, from time traveling, receiving experimental treatments, eating meat if a vegetarian, from the floor hygienator, and carrying Tiberium around in inventory for a long time. After the 2 hours are up, the Sim will run to the bathroom and throw up. If they don’t make it to the bathroom, they could throw up on the floor. Foul Food (requires The Sims 3: World Adventures) – lasts for 45 minutes and has a negative 25 mood effect. Your Sim needs the Snob Trait (especially if the Sim has the Sims 3 celebrity status too) to get this negative moodlet, and it will occur after eating some low quality dried food. Carbed Up! (requires The Sims 3: World Adventures) – lasts for 3 hours and has a positive 35 mood effect. This effect occurs after eating Pemmican. This can be purchased from a “Special Merchant” for a mere 10 Ancient Coins if you have a level 1 Visa in at least one country. 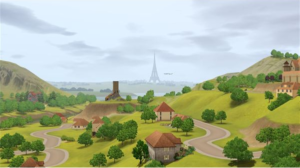 Astonishing Aroma (requires The Sims 3: World Adventures) – this hunger moodlet in the Sims 3 lasts for 8 hours and has a positive 5 to 30 mood effect. Your Sim can obtain this moodlet after drinking nectar. Awful Aroma (requires The Sims 3: World Adventures) – lasts for 8 hours and has a negative 5 to 30 mood effect. Your Sim can obtain this moodlet after drinking nectar. Breathtaking Balance (requires The Sims 3: World Adventures) – lasts for 8 hours and has a positive 5 to 30 mood effect. Your Sim can obtain this moodlet after drinking nectar. Bitter Balance (requires The Sims 3: World Adventures) – lasts for 8 hours and has a negative 5 to 30 mood effect. Your Sim can obtain this moodlet after drinking nectar. Commanding Complexity (requires The Sims 3: World Adventures) – lasts for 8 hours and has a positive 5 to 30 mood effect. Your Sim can obtain this moodlet after drinking nectar. Crooked Complexity (requires The Sims 3: World Adventures) – lasts for 8 hours and has a negative 5 to 30 mood effect. Your Sim can obtain this moodlet after drinking nectar. Fabulous Finish (requires The Sims 3: World Adventures) – lasts for 8 hours and has a positive 5 to 30 mood effect. Your Sim can obtain this moodlet after drinking nectar. Foul Finish (requires The Sims 3: World Adventures) – this hunger moodlet in the Sims 3 lasts for 8 hours and has a negative 5 to 30 mood effect. 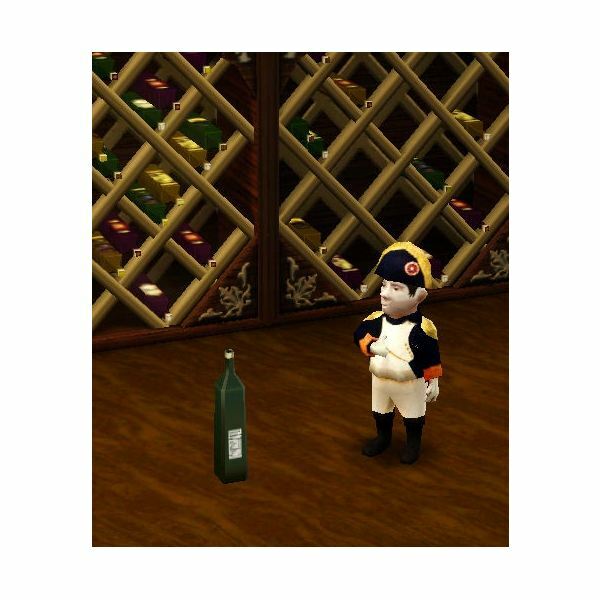 Your Sim can obtain this moodlet after drinking nectar. Mmm, Greasy! (requires The Sims 3: Late Night) – lasts for 4 hours and has a positive 20 mood effect. Your Sim can obtain this moodlet after eating a meal cooked from the Sims 3 food truck. Food Poisoning (requires The Sims 3: Late Night) – lasts for 2 hours and has a negative 25 mood effect. Your Sim can obtain this moodlet after eating 2 or more meals from the food truck. Banan-ahhhhh (requires The Sims 3: Late Night) – lasts for 2 hours and has a positive 15 mood effect. Your Sim can obtain this moodlet after blowing bubbles with Bubble Bar the Banana flavor. Chocolate Chuckles (requires The Sims 3: Late Night) – lasts for 2 hours and has a positive 15 mood effect. Your Sim can obtain this moodlet after blowing bubbles with the Bubble Bar with the Chocolate flavor. On a Beach (requires The Sims 3: Late Night) – this hunger moodlet in the Sims 3 lasts for 2 hours and has a positive 15 mood effect. Your Sim can obtain this moodlet after blowing bubbles with the Bubble Bar with the Pineapple flavor. 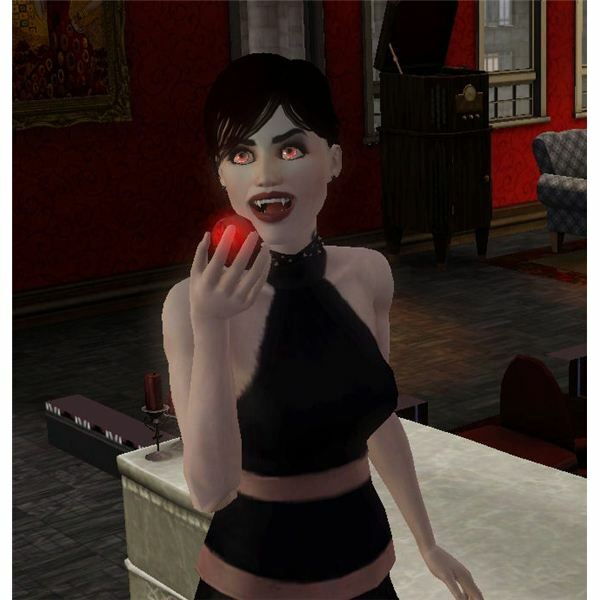 Social Strawberry (requires The Sims 3: Late Night) – lasts for 2 hours and has a positive 15 mood effect. Your Sim can obtain this moodlet after blowing bubbles with the Bubble Bar with the Strawberry flavor. This series is all about The Sims 3 moodlets. Find out about each type of moodlet available and how it affects your Sims’ mood for their basic needs throughout the game.